For those who used this cost saving method for trips to Walt Disney, you will have to find new ways to save. The Disney Vacation Account was discontinued yesterday with little to no warning. Account holders were emailed an announcement and the official website now states the same following information explaining how account holders can spend their funds, or get refunds. 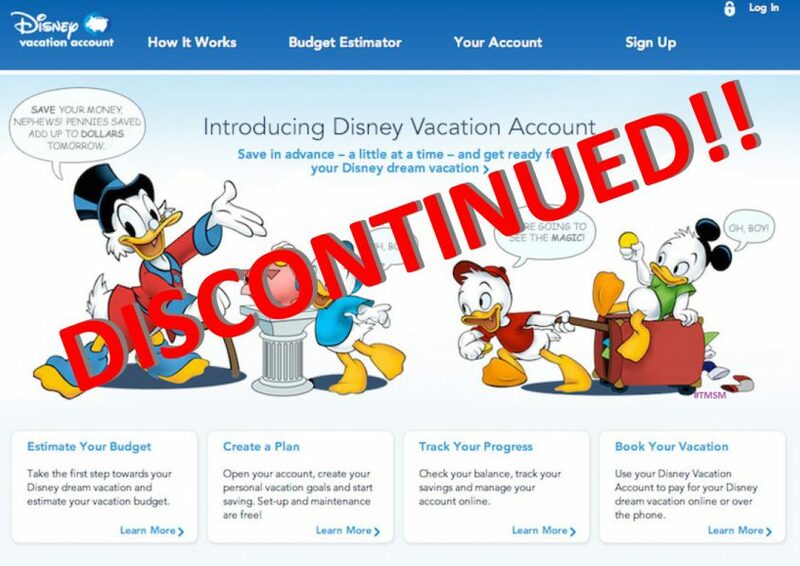 No official reason for the discontinuation of the program was announced in the email set to account holders or on the official Disney Vacation Account website as to why the program is ending. If any further details regarding the closure becomes available, we will update this story. Keep checking our facebook page -The Traveling Mouse Company or our webpage www.thetravelingmouse.com.